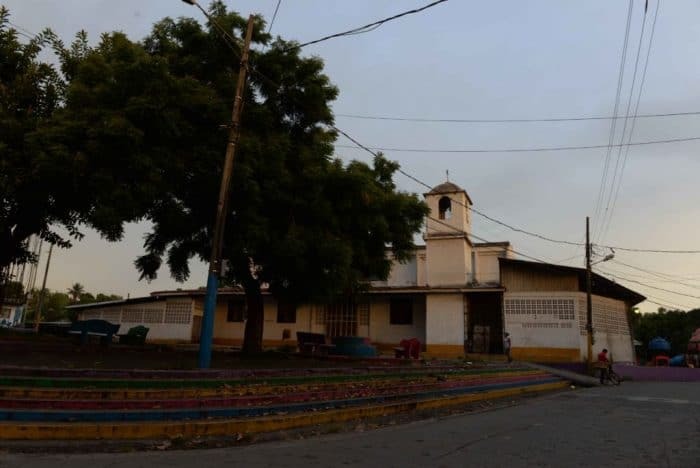 It was dawn on July 17, 2018, two days before the 39th anniversary of the Nicaraguan revolution, when armed and hooded paramilitary forces, under police protection, attacked hundreds of Monimbó’s youth. They tried to fend off the brutal attack, but in the end, they couldn’t contain the violence. There was a steady burst of rifles for five hours. Inside houses, candles illuminated statues of the Virgin Mary while people prayed for the violence to stop and for no more death. Things went quiet at the end of the day, but it was the most ominous silence since the town rose up against the government three months earlier. One by one, even the strongest and best-built barricades fell to an onslaught of bulldozers brought in by the government and driven by masked men. The attack against Monimbó was coordinated and they all the entry points to the neighborhood at the same time. It was a harbinger of the heavy-handed government approach that continued with house-to-house raids. There were so many prisoners that the commissioner general, Ramón Avellán, freed more than 100 citizens in one week. He made their parents commit to peace with the Sandinista mayor, Orlando Noguera, as a witness. So what’s become of this historic indigenous neighborhood that was known for the marimba’s cheerful squeal? The zone’s now dominated by women, older men, and children. A lot of the young men fled; some of them crossed the border to Costa Rica. Nobody knows what happened to some, and several more are still detained. Most of the paramilitaries that came to Monimbó, more than 200, are already gone. 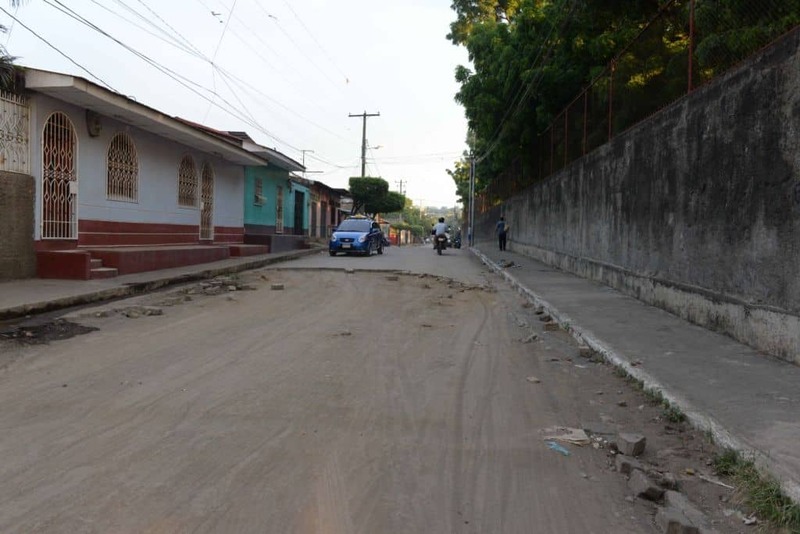 Just a few hooded men are left along with the fear they instilled in the heroic neighborhood that stood up to Daniel Ortega. A neighborhood that since April 19, paid with lives to erect barricades. 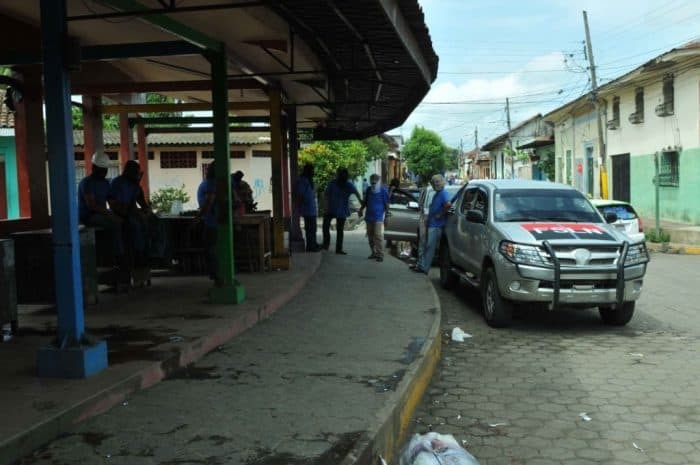 There were 47 deaths in Masaya, the department where Monimbó is located, according to the latest numbers provided by the Nicaraguan Pro Human Rights Association (ANPDH). The hooded men with rifles aren’t in the Monimbó plaza anymore. They’re not at the Lomas de Sandino soccer field, where they were first seen, either. There are still a lot of police officers. They’ve taken a white, two-floor corner house as their base. It was a house where they used to treat people wounded during the protests. “To the heroes and martyrs of Monimbó, the historic town of Masaya,” referencing the insurrection against Somoza, the tyrant that people stood up against, in the same way that people are doing against Ortega 40 years later. The makeshift altar that the people erected on the sidewalk of the San Sebastian Church to honor the most recent victims of government oppression was destroyed. People lock themselves indoors every day before 6 p.m to avoid traveling through Monimbó. Police are on guard 24 hours a day, rifles ready, as if they were about to get ambushed at any second. The silence weighs heavy at night, but sometimes you can hear gunfire. “It’s like they’re shooting into the air,” one townsperson, who asked not to be identified for safety concerns, said. But there are nights where you can hear the thundering boom of homemade bombs. That’s how they remind their executioners that there’s a resistance that’s still breathing. After the paramilitaries came in, the police swept up anybody. That’s why it’s dangerous to be out on the street, especially at night. A lot of families haven’t waited to wait for the police offensive. They left their houses under the care of neighbors or relatives and took only what they could carry in their hands or throw over their shoulders. The school doors are still closed. Along with the people of Monimbó, there were other towns in Masaya that suffered the same oppression: Catarina, San Juan de Oriente, and Niquinohomo. In Granada: Diriá and Diriomo. They were all victims of the attack by the regime’s oppressive forces. Alex lived through two attacks, one on July 15 in Catarina and the other July 17 in Masaya. He ran away from his home city to Monimbó despite the constant danger in the neighborhood. He watched the same movie twice: paramilitaries attacking young protesters with bullets. He survived and now he’s in hiding. Another young man that escaped the Monimbó attack also resisted ambushes in Niquinohomo, his hometown. He said that “bullets whistled” next to him during a shootout and that instead of being afraid, it gave him more courage to carry on. “I went through a lot, two days walking without food, drinking dirty water in the Masayo Lagoon,” he said. He also said that he would enact the law on protest organizers. “We want to tell the general population that we’re going to take the necessary measures with all the leaders of those groups that we’ve captured. They’re going to face the law” Avellán said. Read the original story in Spanish at La Prensa, first published on June 30.